I am going to be honest with you. I have absolutely no wisdom to impart to you today. No “how to” with chickens, herbs or what to do in your garden. I have no wisdom to impart on homeschooling, on raising a family, on connecting with your neighbors. I have no pretty pictures of delicious foods, interesting pieces of kitchen equipment or what to do when the power goes out. I also have no great ideas on what to pack in a bug out bag, when to bug out and ideas of where to go and how to survive. The truth is, I am burned out. There, I said it. I admitted it. I feel like I have failed miserably. We started this Spring off with high hopes, dreams and vision. Just like every year. We were going to up our food production from 70-80% to nearly 90% this year, with dairy being the only thing we couldn’t produce on our 1/5 acre. We added bees, more chickens, ducks, and turkeys along with the meat chickens. We increased our garden space by nearly double and planned to grow more of less varieties for more food production. For example, 5 beds of green beans and no okra because we eat more green beans than okra. Makes sense, right? Then, life hit. And it hit hard. We started on Memorial Day weekend, which my hubby had a 3 day weekend, with a bathroom painting project. Our plan involved replacing the sink, part of the drywall behind the sink, and giving the entire bathroom a fresh coat of paint. The dream turned into a nightmare as we discovered pipes that were disintegrating under the sink, the beginning of a mold issue, and bare wiring from the previous owners. 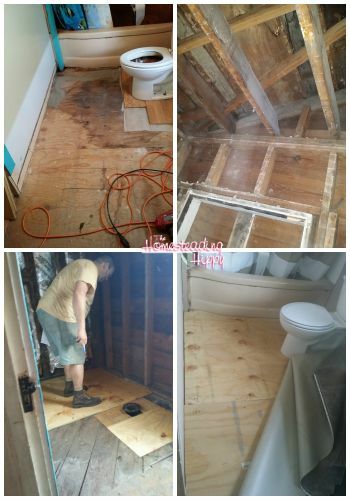 Instead of a quick weekend start to finish project, our entire family spent 3 1/2 days tearing out the entire bathroom down to the studs and sub-floors. We discovered zero insulation, a wasp nest in the ceiling, and bare wires in the ceiling over the wet shower area. Our tub/shower plumbing fell apart in my husbands hands as we loosened it up to remove the tub. While it was a nightmare at this point, we are truly grateful that the plumbing was completely redone on OUR terms. I mean, watching a pipe completely fall apart could only mean we were just a few showers away from a disaster in the making. We pulled out the toilet to discover a rotten sub-floor that could have been a tragedy if left much longer. But, it was still not the easiest thing to deal with…our shower was out of commission for almost 2 weeks, and we have no family close by. During this time, my husband still had to work his full time job. He’s a systems admin for a technology company and some weeks he can work 60+ hours. And, you guessed it, that was about what he had to work the entire months of June and July. Getting drywall and insulation hung, electric re-run, sub-flooring replaced, plumbing updated, painting, linoleum replaced and trim work done became a “I’ve only got an hour…let’s see what we can do”. I myself was running kids to taekwondo, part time jobs, and going to school full-time myself. Keeping up with the laundry became a joke, as did making much from scratch. During all this, my youngest was diagnosed with a gluten sensitivity. Since celiac has been in my family, I knew to take it seriously. Now, I had to revamp my grocery shopping, along with everything I knew to make him. (I decided to go completely gluten free myself just to support him, and found that my arthritis pain I had was being relived, so stuck with it). That changed my world and it was just another struggle to deal with. I felt like I was already struggling with keeping my head above water, and now I was sinking fast. During the 61 days of June and July, we were blessed with all of the west coast’s rain. I don’t have all the numbers handy, but I am pretty sure that it rained and flooded 57 out of those 61 days. There was no going out to the garden fast enough to weed, as they were growing rampant. One thing we did have enough of was lamb’s quarter. It was everywhere, choking out all the other plants. Our blueberry bushes were doing well, until the turkeys somehow escaped their pen and devoured all the berries just as they were ready to be picked. 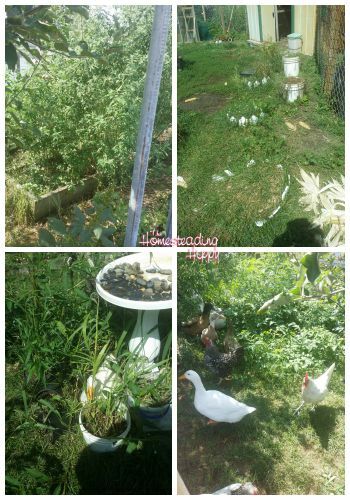 Then, the ducks helped themselves to the green peppers and tomatoes and had a feast. To say that I was heartbroken just doesn’t cut it. The only thing left was our squash. Oh, it was beautiful! We had several squashes, some that were picked and some that were nearly ready to be picked. The morning I went out there to get the rest, I was greeted with another devastating blow. Squash bugs had taken over, and not only was the squash itself gone, the plants were withered away. In less than 24 hours, butter-nut and spaghetti squash dreams were shattered. The five I managed to save earlier was our harvest. It’s too late for a real fall garden, as the weeds have taken over the beds and the heat and scheduling conflicts this year have made it nearly impossible for me to clear out the beds. Blueberry season has come and gone, and I only was able to store 20 lbs. of them in the freezer. Strawberries were non-existent for us this year due to all the rain, and it’s not looking good for apples and peaches just yet. We did manage to tuck 45 meat birds into the freezer, learning a lot about processing them along the way, and 4 turkeys just got ground and tucked in to the freezer as burger as well. We won’t starve this winter and that’s something to be truly grateful for. And that is where hope comes in. Hope. The renewal of a spirit, of a dream. The picking up of yourself and discovering that you CAN keep going. The idea that while today may not have been what you wanted, tomorrow is another chance. I won’t always be dealing with having to run my kids everywhere. As a matter of fact, one is already on her own, driving, working and living her life. I blinked, and my baby girl grew up into an amazing young woman. Time is fleeting, and I need to be able to enjoy my kids. I won’t always be a student. One day, I will graduate and be able to put into practice what I have learned. I need to be able to enjoy the journey of learning and growing. And the bathroom that started this all??? It still needs the crown molding put into place and the window framed and trimmed. But, I am grateful that it’s nearly done and that we can take what we learned about the process and apply it to our next project, the kitchen. For now, I need to enjoy my husband’s rare days off once in a while and just allow him and I to BE. We need to be able to enjoy our relationship, without trips to Menard’s. And that is the point of failure. To give you a new perspective, a new vision, a new HOPE. And, maybe this year wasn’t a failure at all, because it DID remind me how quickly our lives can pass by and before we know it, it’s over. How sad to have died without truly having lived. The green beans will be there next year, as will homemade spaghetti sauce. I just want to keep on going and enjoying the rest of this ride. Releasing the guilt completely over a “lost” homestead year and renewing the hope of next year. But, thanks for sticking with me…I am truly grateful for each and every one of you! Heather, I’m sorry that you’ve had such a tough time of it. I’m so glad you shared it on the blog. It’s life, not a failure. And it’s so good to see someone being so honest about struggles that can happen to everyone. Hang in there! Wow, what a great attitude you have about this! My friend often reminds me that it’s just a season and “this, too, shall pass”. Hope that next growing season gives you an abundance. When it rains, it pours, eh?? So sorry to hear about all of this. I’ve sometimes thought about not planting a garden at all and just stocking up and canning from good purchased at an Amish produce auction. Not sure if that interests you at all, but it might be something to consider. <3 HUGS!! So refreshing to hear about the realities of life, honestly shared and accepted. You have described so many of the struggles we all face. I love the bathroom story. That pretty much sums up our experience living in our old house. We also garden and every year we have goals that we fail to meet. It’s life! thanks for the encouragement, Erin!!! So sorry. I think a lot of people have had a really rough 2015! Including us. What is up? Our year started with me having kidney stones and then surgery to remove them, then our 2 year old grandson was diagnosed with an auto immune disease called iTP (now in remission) and then my 27 year old daughter was diagnosed with salivary gland cancer. It all hit the fan at once and I was a basket case. Things are better now. Hope does returning. I am glad you are experiencing hope again and a renewed perspective. Oh, heather. I am with you! I think our summers were just about the same. Here’s to moving forward! I’m so glad you’ve shared your trials. It reminds of the Little House books and how hard it is to survive off the land. It’s great to share the struggles. So sorry, too!!! Thank you for sharing your story, but also sharing the positive side. That there is HOPE. Sending lots of love to you. My goodness! Sounds like such a mess, but I love your honesty. Life isn’t always easy but is comforting to know that I’m not alone. Sending you good vibes sister! Jesus Christ we can hold on!! I feel your pain on the weeds! My garden problems can from Houdini chickens that got into the garden almost every day, then couldn’t get out…and deer that jumped over the fence and ate the zucchini plants and green beans down to nothing. *sigh* Next year is a new chance though, and you have a ton of meat so that is a very big success! So sorry you had to go through such a difficult time. Each gardening year for me has its challenges. This year was the year of rain. This sounds so much like around here. 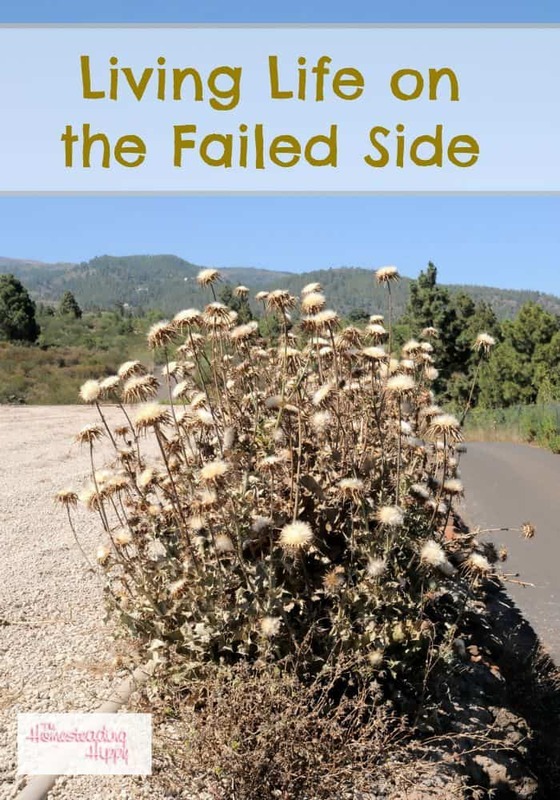 Reading this gave me someone to connect to and help spread out the frustration of seeing such hope and beginning effort seem to be squashed with our plants! Our upgraded chicken coop still hasn’t been built, the 3 sisters garden was a complete flop and we got maybe two bowls full of cucumbers before they just went away. Our tomatoes were beautiful and delicious – the three or four grabbings we got and the peppers that usually take over -barely produced. We have had success with banana peppers… we also lost an entire bed of watermelons and cantaloupe. I have pulled up a good bit of our “bigger than ever” garden and I am hoping to clear the rest and let the soil improve while we prepare for winter. Thank you so much for sharing! These times are just a part of it! It’s been a rough year, but I am glad that I can use what we learned to encourage others!! Keep on keeping on, Sandy! I hear you. We’ve had so many plans that haven’t gone as we wanted. Glad you got it all cleaned up. Mold can be horrible!! it was awful…but I keep thinking how much worse it could’ve gotten!! Oh WOW, this sounded a LOT like my summer this year. I had BIG plans for a garden since moving into a new house for the first time in over 40 years!!! Apt living is for the birds. I had a man come and till and both I and my husband worked the ground and I planted the plants I had started indoors in January. I did greens beans, northern beans and blackbeans. I had brussel sprouts and beets and corn. Also had zuchinni, summer, and spaghetti squash. Wellll, the rabbits found a way in through the fencing and ate the beans. The possums got my corn and the weeds got most of the rest. We had a very rainy spring and also I had chronic bronchitis twice which didnt help. BUT I did get a good supply of tomatoes, both grape and beef steak variety. So I was a happy camper. Next year I plan to do beds, much easier I think and do a lot of mulching to keep the “Jungle” weeds down. Even for being 61 I LOVE TO GARDEN!!! !